The South Devon Railway (SDR) has a superbly well equipped engineering workshop. Our engineering staff are highly skilled and experienced in a range of services, from metal fabrication and presswork, through the manufacture of parts for GWR and other locomotives to the full restoration of locomotives and rolling stock for use on the South Devon Railway. 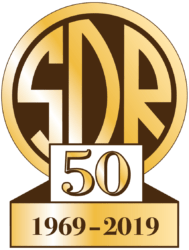 The SDR undertakes outside work through its commercial engineering company, South Devon Railway Engineering (SDRE). We pride ourselves on the standard of our work and our ability to tackle most jobs, with emphasis on quality and maintaining authenticity. Our construction methods will wherever possible adhere to the original design and methods. Non railway work that involves press work can also be undertaken. SDRE is one of the country’s specialists in wheelset repair and railway wheel retyreing. 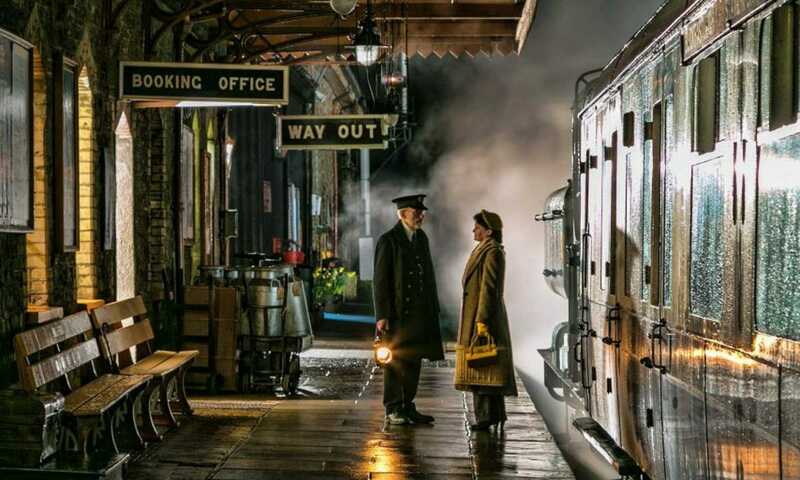 This work is carried out on heritage steam locomotive wheels and cranks as well as supporting the current UK’s national rail network vehicles. This work is accredited by RISAS/003 and Linkup registered with Achilles. Our services are used by main line TOC’s. This work is carried out to the highest of modern railway standards. SDRE is one of the country’s premier steam boiler specialists with over 40 years’ experience of manufacturing and repairing boilers for railway locomotives. SDRE offers a range of services, from manufacturing new boiler parts from scratch using existing patterns or drawings, carrying out repairs to existing boilers or supplying customers with parts and guidance to enable them to carry out the work themselves. We can manufacture components to order. Please contact us with your requirements. We undertake work on wheelsets concentrating on assembly and retyreing railway wheels for heritage steam locomotives and any rolling stock that use press fits or shrunk on construction. Our services include the procurement and machining of tyres, to original drawings or customers’ drawing requirements, the manufacture of the associated Gibson rings and their assembly using heat shrink techniques. Axle refurbishment or replacement can be undertaken for plain and cranked axles, where the cranks are built up by heat shrinking or pressing of parts together. An important part of the assembly of cranks is the alignment to the crank pins and our specialist equipment ensures that this work can be carried out with precision. The work can include the replacement of crank pins or the pins can be re-machined, refurbished or replaced depending on their condition and operating history. Our facilities include the tools to remove and rebuild pushed on axle components and wheels using a wheel press that can develop a force up to 350 ton. The equipment can be used for dismantling and reassembly of cranks or wheel sets including the fitting of bearing housings and roller bearing assembles using shrink fit and press methods. For modern high speed running we have the capability to low speed balance plain wheel sets in a high accuracy wheelset balancing machine. We specialise in the manufacture and repair of locomotive and traction engine boilers, with emphasis on quality and maintaining originality. This work uses riveted techniques and fusion welding for boilers that are constructed using steel or copper. We have invested much time and effort in research into the successful forming and welding of arsenical copper and this resulted in the first full, copper locomotive fireboxes being produced in preservation. We encourage the use of hydraulically flanged plates as opposed to the use of hand hammered parts and fabrications. Plates can be flanged and welded, or flanged and riveted to your preference. Our 700 ton flanging press makes this method of repair easy and efficient. The boiler workshop area has a plate oven to provide uniform controlled heating of the entire plate for hot pressing. The oven can also provide post pressing heat treatment as required. We work closely with all the major inspecting authorities to ensure consistent high quality time and time again. As well as locomotive boilers, we are equally at home using our experience in the overhaul of many other pressure vessels including maritime, industrial and heating boilers. A number of components can be supplied as loose parts for boiler repairs and as an example these include, but by no means limited to GWR parts such as boiler ferrules, boiler cladding top feed covers, fire hole flap, oil tray and brick arch bricks. Our 700 ton press allows us to produce hot or cold flanged plates to most dimensions required in heritage steam today as well as other industrial applications. The press was manufactured in 1975 by John Shaw and Company. Originally installed at the British Rail works in Crewe, the press then moved to a pipe fitting manufacturer in Warrington in 1995. In November 2000 the press was installed at Pridham’s works, moving to Buckfastleigh in September 2010. The press is used mostly to produce flanged plates for steam boilers such as back heads, throat plates, foundation corners, tube plates and much more. Also it enables us to develop large pressings like those for fire box side plates. An advantage of the press is that sub division of the plate into multiple smaller plates is not always necessary improving the quality of production and reducing welding. Although primarily intended for the manufacture of locomotive parts we offer the diverse capabilities of this machine to other industries. We can produce large diameter dished ends in plate up to 1″ (25mm) thick or other shapes to your requirements. Pressings can be an economical alternative to fabricated parts in many industrial applications. We work from component drawings and produce one off or batches of parts to your specifications. The press has a bed of 12′ X 8′ (3657 mm X 2438 mm) and a daylight of 5′ (1524 mm). The four main pressing rams (blue) lift the whole bed and provide about 515 tonnes of force. The centre ram (red) can lift independently through the bed for a second press operation or as an ejector with about 205 tons of force. Alternatively it can be clamped to the main bed, taking the full push to over 700 tons. The adjustable vicing rams (green) lift through the table and are designed for clamping the work piece in place during pressing. They can provide 200 tons of upward force between them. We produce a full range of flue tube ends for locomotive boilers, in a host of different sizes. Bottle ends are supplied 12″ long as standard. In special cases we can supply ends above this length. The large end diameter varies in 1/4″ steps. For flue tubes with O.D. in 1/8″ steps, the outside can be machined to suit. The small end diameter varies in 1/8″ steps. Our standard sizes range from 4 1/8″ to 5 1/4″. Other sizes may be available on request. Standard ends are supplied as one of two wall thickness, 3/8″ and 1/2″ wall. Other thickness may be available on request. Bottle ends are produced from material complying to DIN 2448/1629, ST 52.0. For other materials please contact us. Material certificates are provided at no extra cost. A number of carriage and general parts can be produced to maintain the operation of heritage vehicles. – Fully shaped end pillars, body side pillars, gangway pillars, cant rail, purlins and body side framing rails. – GWR door skins and other metal parts for door assemblies. •	100 ton bi-directional press for smaller parts. •	100 ton downstroke press. 2′ x 3′ (610 x 915) bed, up to 4′ (1220 mm) daylight. •	300 ton upstroke press. 5′ x 5′ (1525 x 1525) bed, 6′ (1830 mm) daylight. •	700 ton upstroke press. 8′ x 10′ (2440 x 3660) bed, 5’6″ (1675 mm) daylight. •	Ormerod shaper. 2′ (610mm) stroke. •	Town radial arm drill. 3MT, 3′ (915mm) travel. •	Archdale radial arm drill. •	Asquith portable universal radial drill. 18″(457 mm) to 10′ (3048 mm) height capacity. •	Ridgid 1224 threading machine. •	BOC Imp. Gas straight line cutting up to 4″ (100mm) thick. •	Arc welders up to 450 A.